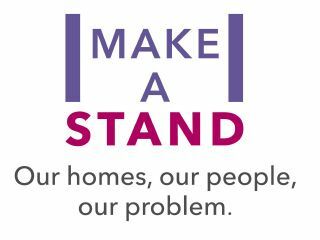 LYHA has joined housing providers across the country in making a stand against domestic abuse by pledging our support for the Chartered Institute of Housing’s #makeastand campaign. This is such an important cause that sadly affects thousands of people in the UK every day. If you are experiencing domestic abuse, or you have concerns about someone you know, please speak out and report it either to the police or contact the 24-hour National Domestic Violence Helpline – 0808 2000 247. There are also lots of agencies available to offer support, including: Refuge, Victim Support and Women’s Aid. For a full list of local and national support for domestic violence and abuse, please click here.